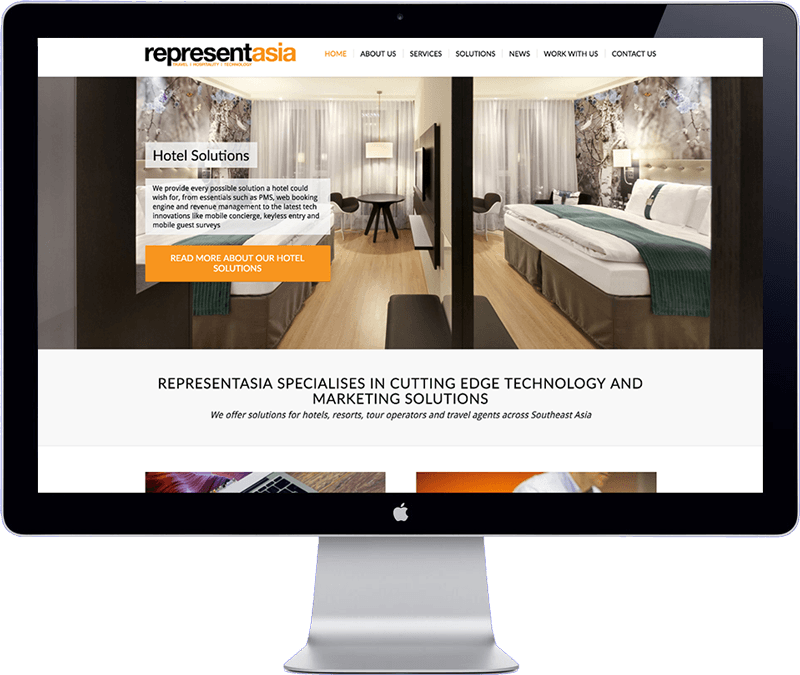 Bangkok based company Representasia Co., Ltd. provides technology solutions & marketing services for hotels, tour operators & travel agents in Thailand, Vietnam, Cambodia & Laos. Represent Asia’s previous website had an outdated design and was hard to manage. They required an easy to manage website with a new design that makes it easy for visitors to navigate on their website and browse through their products. The website has been build with WordPress CMS, a visual builder has been integrated which makes it easy to construct and design pages. It has been optimized for search engines (SEO) and has a special design for tablet and phone formats.